Brought from Asia in 1905, the air potato has been smothering native Florida vegetation for over a century now with its long vines sprouting grasping tendrils and large leaves. 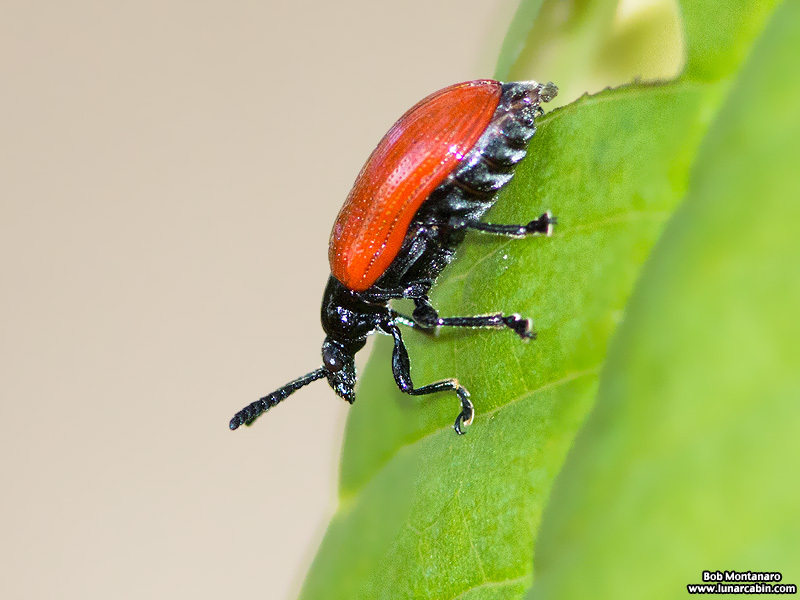 Nothing in its new found land has an interest in eating this all-encompassing interloper until recently when a small red beetle, called the Air Potato Leaf Beetle, was brought over from China to take on the daunting task of eating its way through this exotic pest plant. 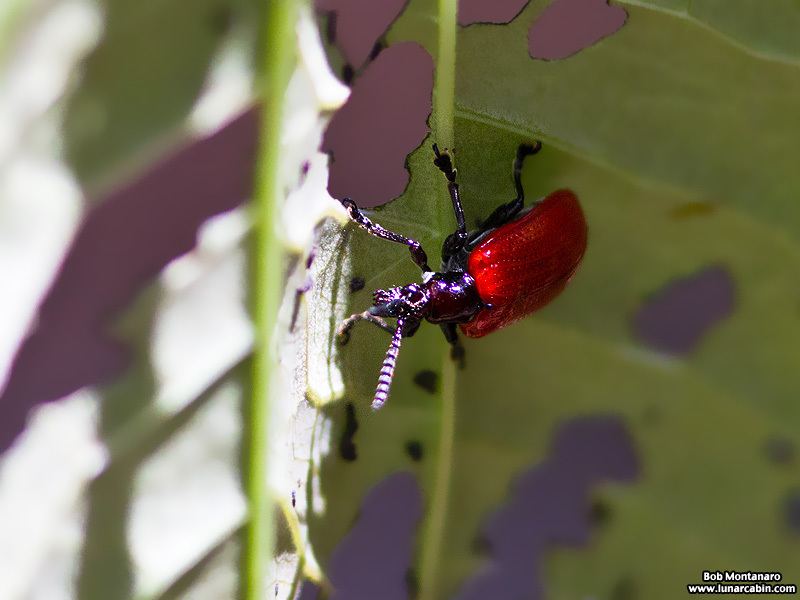 The Oslo Riverfront Conservation Area (ORCA), home to quite the air potato infestation in parts, has seen several releases of the Air Potato Leaf Beetle in an attempt to control the air potato vine by eating the leaves and tendrils of the air potato vine the way it does in its native land. 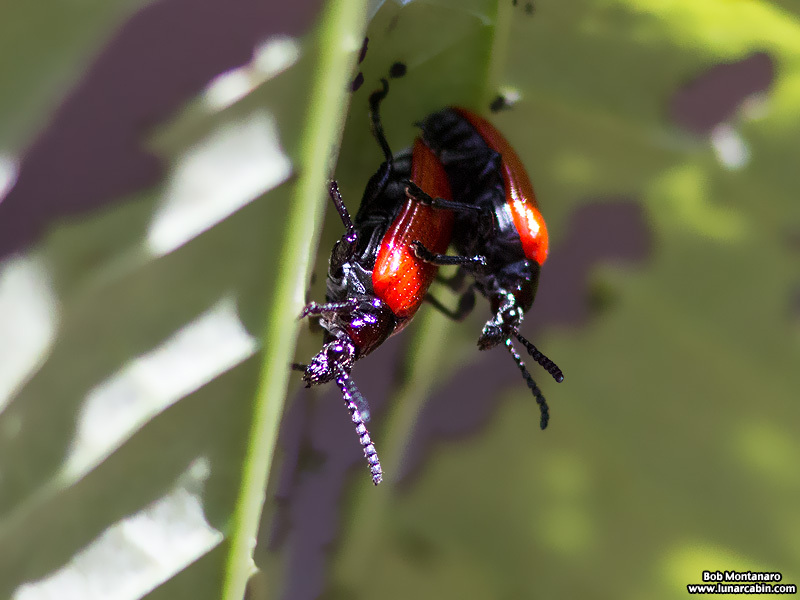 The beetles pictured here are from the latest release at ORCA. Large holes in this air potato leaf show how hard the beetles have been eating to feed their voracious appetites. 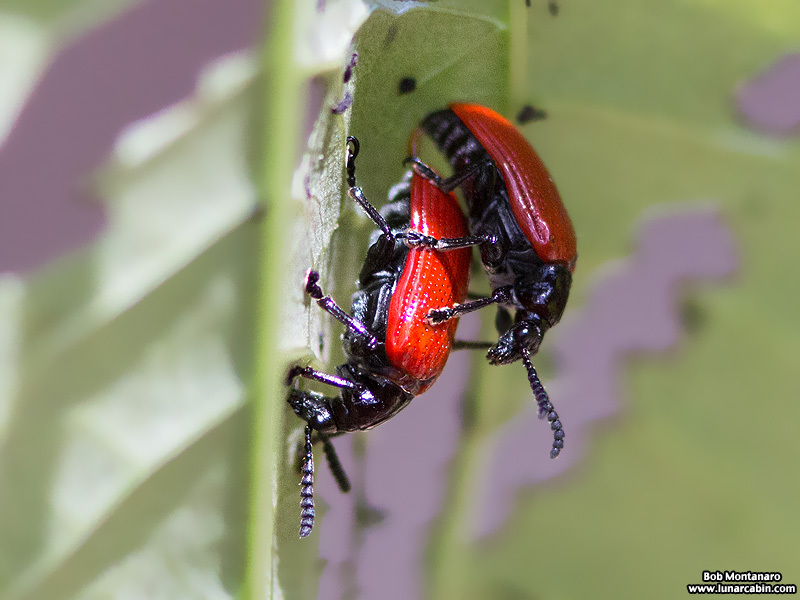 These newly released Air Potato Leaf Beetles must be feeling right at home as they mate on a partially eaten air potato vine leaf. 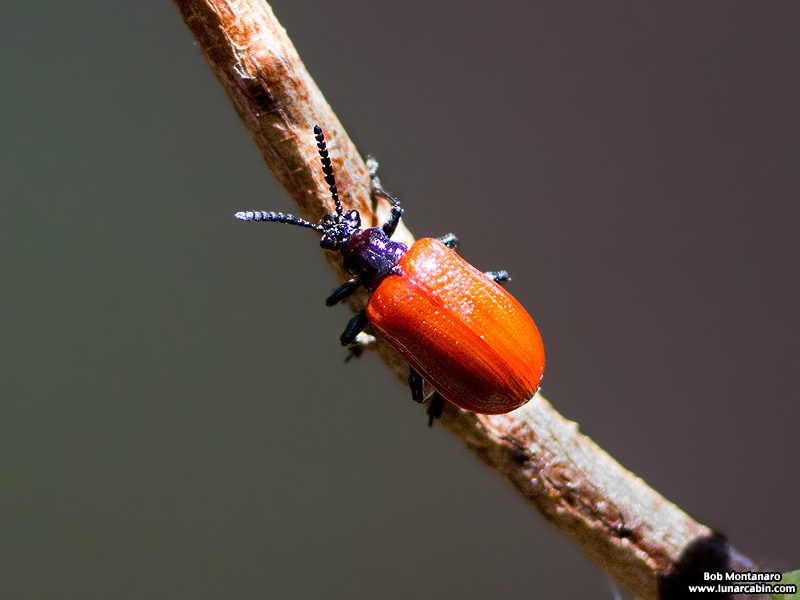 It is hoped the beetle will successfully breed naturally to increase the number of beetles going after the air potato plant. Lilioceris cheni attempting to start a family. What’s the East-Asia-to-North-America version of the Columbian Exchange?